Well it's Ahoy Matey with our friendly shipmates on this Pirate themed Bouncy Castle. A popular theme birthday party for boys or girls, or why not have 2 bouncy castles and have a Pirate & Princess themed Birthday Party for double the fun! Nothing makes a child’s party more fun than having something bouncy to play on. A bouncy castle is just the right addition as it offers hours of entertainment to tire out the children. 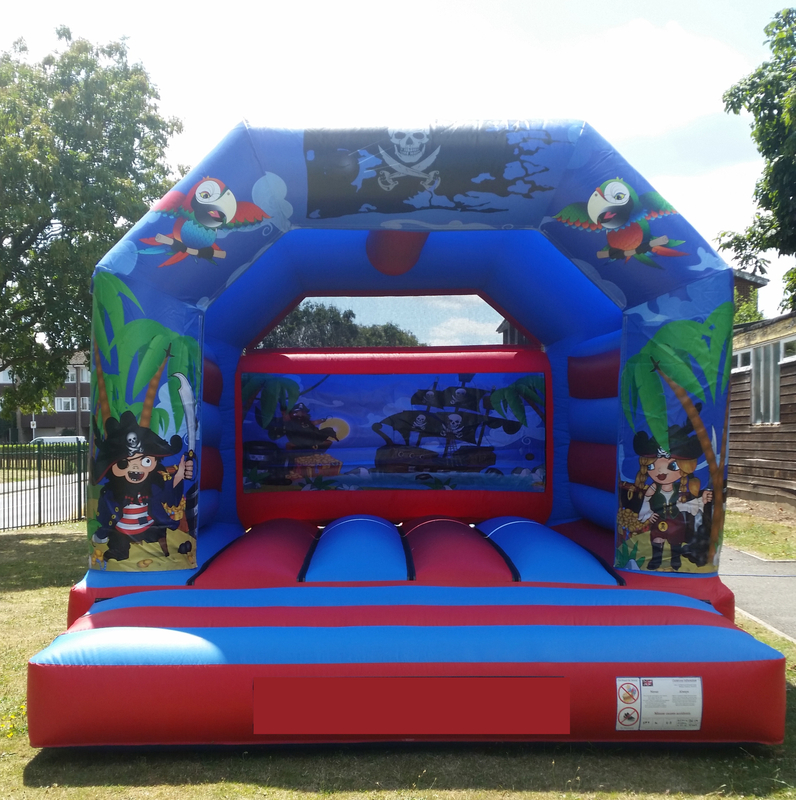 This Pirates 12.5ft x 15.5ft Bouncy Castle from MJ Castles Hire is the perfect fit if you’re having a pirate-themed kids event. It has splashes of bright colours and pictures of pirates, parrots, and a ship. Its structure also provides a lot of room for children under 14 years old to bounce around in.